Invite the right people using invitations. Invite people as readers to share without adding chatter. Readers can browse messages and add reactions and comments. 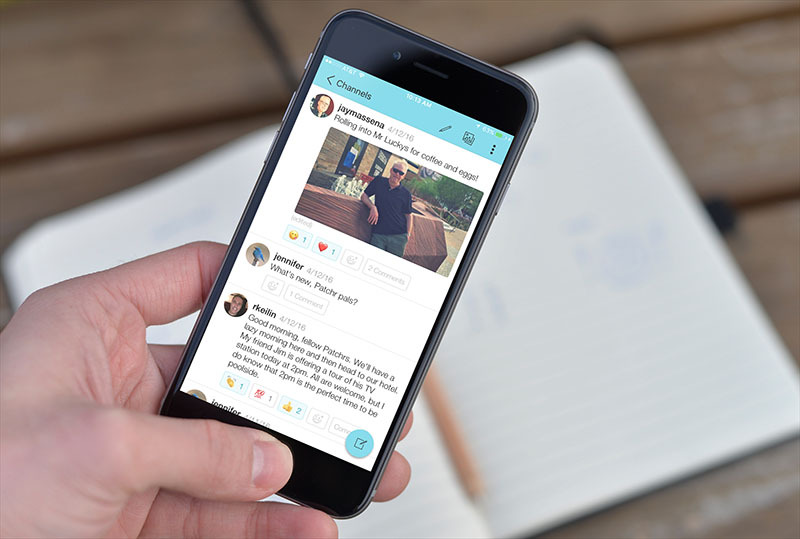 Invite people as contributors and they can post new messages to the channel. They can also edit and delete their messages. Patchr has brilliant sharing features: photo search and editing, reactions, comments, realtime notifications, offline posting plus much more. Invite people from your contacts and we handle the rest! We email them an invitation, help them install Patchr and gently launch them into your amazing channel.